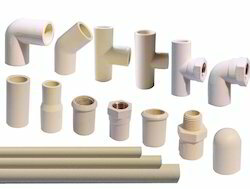 We are the foremost Manufacture and wholesaler supplier of a quality range of CPVC Pipe Fittings. 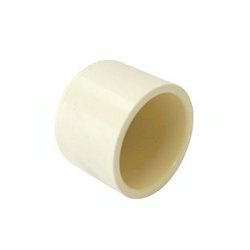 This product is used for fitting purpose in various sectors. 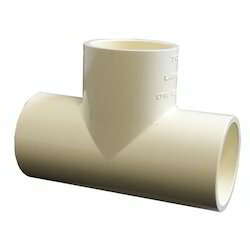 Offer product caters the need of our valued customers as we offer this Pipe in various specifications. Our product is precisely designed and fabricated under the guidance of skilled experts using quality approved raw material and latest technology. With the assistance of our professionals, we are engaged in offering our clients a broad range of CPVC End Cap. The offered cap is manufactured by our deft professionals using premium quality chlorinated polyvinyl chloride material and contemporary technology as per the set industry standards. Our offered cap is widely used in providing protection to the ends of pipes as well as keeps out dirt & other foreign material. The provided cap is available in different sizes and specifications according to the requirements of our precious patrons. Owing to our expertise in this domain, we have been able to manufacture and supply high quality CPVC Fittings that are extensively used at the construction sites for fitting purpose. 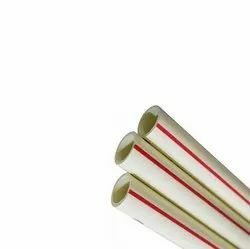 Under the supervision of our skilful professionals, these fittings are manufactured using supreme quality chlorinated polyvinyl chloride material and advanced technology. Our offered fittings are available in numerous sizes, dimensions and technical specifications to cater the frequent arising demands of our prestigious patrons. Riding on unfathomable volumes of industrial expertise, we bring forth a qualitative assortment of CPVC Union. Along with that, we offer these unions in various sizes as per the requirements of the clientele. 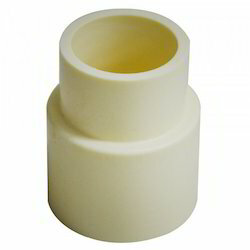 In order to append and respond to the assorted requirements of respectable clients, we are able to offer CPVC Tee that is broadly used in various buildings to join more than two pipes. The Tee offered by us is manufactured under the vigilances of our dexterous professionals using the quality assured chlorinated polyvinyl chloride material and cutting-edge technology. Furthermore, the provided tee can be availed by our valuable patron’s at industry leading prices. Our firm has gained recognition for offering premium quality CPVC Reducing Coupling that is widely used in various industries. We obtain raw material from certified vendors of the market, used to fabricate optimum quality products under the supervision of skilled personnel. We are an established company for offering CPVC Plain MTA to the clients. 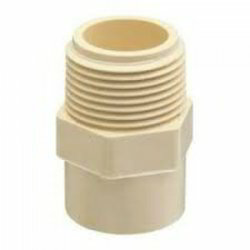 Offered range is commonly used for connecting the female threaded adapter to a pipeline in chemical, agricultural and other industries. This product is engineered with high precision and perfection to meet the defined market standards under our adroit professional’s observation by utilizing optimum grade material and ultra-modern technology. CPVC Plain MTA is available in different technical specifications as per the demands of our esteemed customers. Being a certified company, we are successfully meeting the requirements of our clients by offering supreme quality CPVC Elbow. At our well-equipped production unit, the offered elbow is engineered using quality assured chlorinated polyvinyl chloride with the help of progressive techniques in adherence to set industry standards. Apart from this, we assure our clients for the defect-free delivery of this elbow at market leading prices within stipulated time frame. 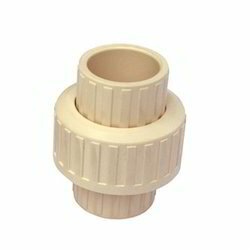 We are the leading manufacturer and supplier of the CPVC Pipe Fitting. CPVC plumbing system is a thermoplastic material made from CPVC compound and is manufactured as per Japanese Technology. It is long lasting and cost effective solution for the hot and cold water. 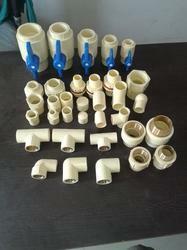 Pipes are available in complete range from 3/4″ to 2″ sizes as per copper tube size. Pipes are available in sizes SDR 11 as per IS 15778 and Fittings in SDR 11 as per ASTM D-2846. Threaded inserts in the transition fittings are made from brass withstand chemical corrosion at the elevated temperatures. The choice of the raw material, the structural accuracy and the strict quality control give the CPVC system a high degree of reliability which is the most suitable, easy and economical solution for transportation and distribution of potable water. It is technically superior, cost effective and offers many advantages over metallic and other conventional systems.